Now that 2015 is here and 2014 is "so last year", what new and exciting things do we have to look forward to? I've searched high and low to come up with my top 5 best new trends for 2015 so that your designing is fresh and of the moment. Despite the Pantone Color of the Year 2015 being Marsala, I'm seeing some great blues that I'd chose over Marsala any day (not that it's a bad color!). Vibrant blues are all over the place. Whether its Mediterranean blue, cerulean blue, blues with a glossy finish, to mixing blue with green (ranging from lime to olive greens), this color is where its at in my book! The Fiddle Head Fern has a new rival - the Pencil Cactus. Gardenista put together a very convincing argument as to why it's so great (despite being mildly poisonous). Having a very different look than the Fiddle Head Fern, the Pencil Cactus doesn't have the same broad leaves, rather it has small almost-spines. A great change for a new year. One of my favorite blogs to follow, Poppytalk, has a beautiful run-down of some fabulously inspiring neutral rooms. Rather than using white, use grays, creams, and pastels to create absolute serenity. 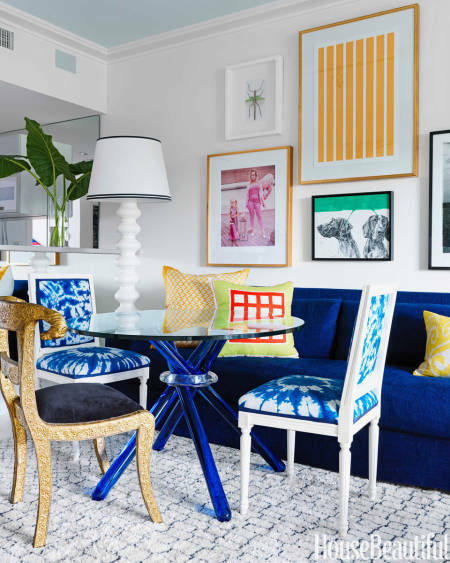 From fabrics to wall paper, high impact patterns and textures are all over the place; natural woven fabrics that feel very bohemian, wild patterns on the walls. Keep it exciting by layering your space. To round it all out, I thought I'd throw in a bathroom update. If you love taking a bath, then you are in luck because it has never been trendier to bathe, so live it up this year! 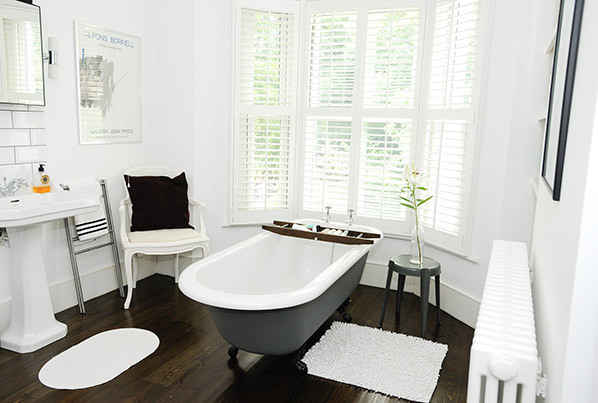 Make sure its a free standing tub to really be on-trend. What are you loving for 2015? I'd love to hear your thoughts!